The walls of a narrow corridor at the Pro Vocal Institute, a small vocal training institution located in Yeonnam-dong in Seoul, are full of framed photos of its clients, ranging from K-pop stars like 2AM to actresses such as Han Hyo-joo. What catches one’s attention at the end of the corridor is an array of handwritten autographs by GFriend, a prominent K-pop group that has risen to stardom with its strong vocals. “I didn’t expect GFriend to become this famous, but what I was sure about while training GFriend members was that they were very, very tenacious,” said Jun Gi-young, head of the Pro Vocal Institute and a mentor for many K-pop stars including GFriend, during a recent interview with The Korea Herald. There is no signage for his institution. But by word-of-mouth, he has become one of the most popular vocal trainers among K-pop wannabes and stars. 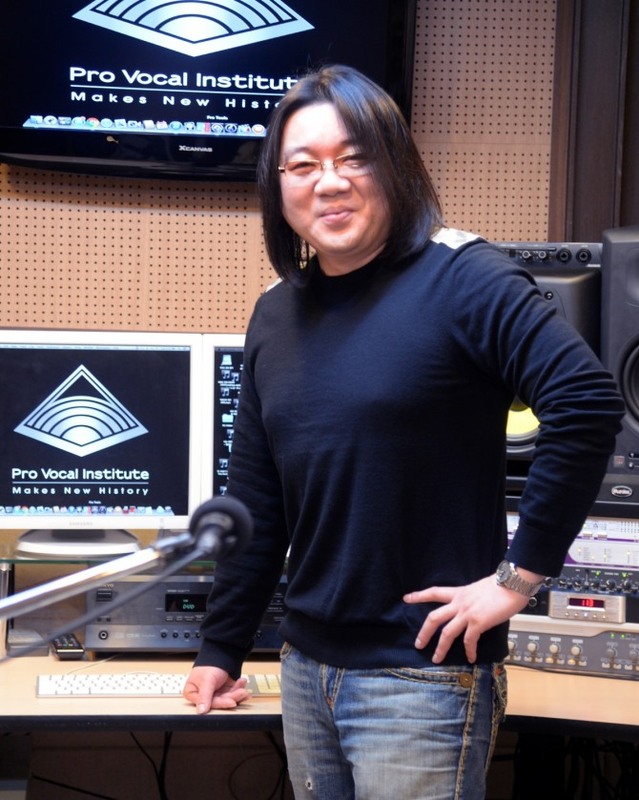 He has worked with various K-pop agencies like Big Hit, DSP and Cube Entertainment. Now a vocal coach for more than 10 years, Jun’s 2016 book about systemic vocal training was the first Korean book on vocal training to be published in Japan. In 1999, he was a student at the Musicians Institute in West Hollywood, looking for methodical vocalization. Training under Riggs, a US vocal coach known as the master behind several superstars including Michael Jackson, Stevie Wonder and Madonna, Jun learned the Hollywood vocal coach’s self-developed vocal technique called “Speech Level Singing.” In 2007, Jun became the first Korean to be certified to use Riggs’ SLS teaching method, which touts that it is able to repair abusive voice coaching. Upon returning to Korea, he temporarily worked as a music director for a children’s music program, but soon switched his career to vocal tutoring after receiving a flood of requests for his vocal lessons. 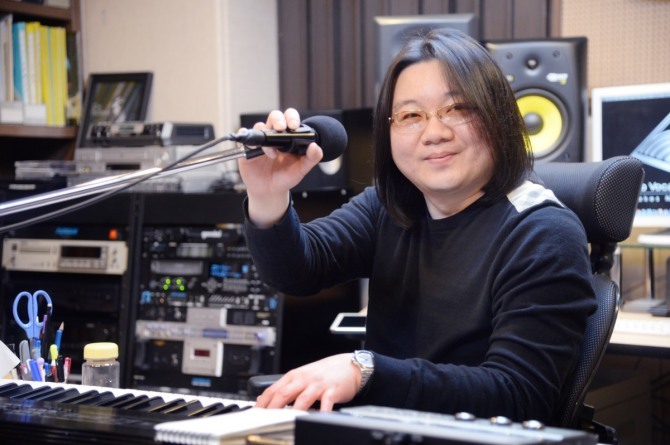 The lucrative business kept him busy day and night, but it was only when word of the private vocal coach reached Bang Shi-hyuk, CEO of BTS’ label Big Hit Entertainment, that he began to engage with K-pop agencies. “One day, Bang visited my institution, which didn’t even have a signboard, along with other Big Hit Entertainment producers. He asked me to hold a seminar for them,” Jun recalled. Bang’s first visit was followed by several more, as he brought the agency’s trainees to whom Jun taught vocalization. Other agencies also knocked on the door of Jun’s office to work with him. Sometimes under an agency’s request, Jun had to test trainees’ singing abilities in order to decide whether they were K-pop star material or not. Among numerous K-pop stars he has worked with, he chose GFriend as one of his most impressive disciples. “One thing that bugs many K-pop trainees’ future is a rift within the group,” he said. Whether it’s a boy band or a girl group, many of his clients had relationship problems, largely because of their agencies’ competitive systems. Jun was also a witness to the K-pop group’s excruciating efforts for success, which are usually hidden from the public. Jun said one of the biggest problems of other vocal institutions is that they tend to concentrate on criticisms rather than compliments. On the other hand, he tries to maximize his clients’ strengths -- the reason why many of them find comfort and confidence with him. “I think it’s important to heal my clients’ wounded hearts first, as one’s mentality is as important as technique in vocal training,” he added.